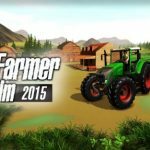 Big Farm Life is an immersive simulation game for Android devices, where your task is to manage your own farm. You start off with just a few patches of land, a couple of buildings, and a truck. 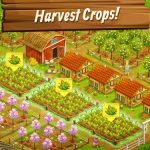 You will need to plant, harvest, and sell crops in order to make money. As your farm grows, you will be able to add a few animals like chickens, cows, and pigs. You will also be able to make more advanced products like bread and dumplings. The more money you make, the more you will be able to develop your farm. Keep in mind, though, that a developed farm requires more attention. You will have your hands full with all the animals you need to feed, and crops you need to plant. It’s a good thing you can rely on our Big Farm Life cheats, tips and tricks to help you get started on the right track. When you start out in Big Farm Life, you will have a small patch of land where you can plop down your crops and structures. Since the space is limited, you will need to clear more land to be able to expand. There are a lot of trees, ponds, and rocks that need to be removed. Unfortunately, every piece of debris you remove will require an item. You need saws for trees, dynamite for rocks, and shovels for puddles. You get very limited amounts of these items, so make sure you carefully consider which obstacles to remove. If you use up all your removal items, you will need to spend gems to get rid of additional obstacles. Otherwise, you will have to wait until you level up and hope you get the item you need as a reward. The game has two types of storage. The first one is the farm storage. It is where all your crops are stored. The second type is the depot where all other products are stored. Both these storages have limited space. You can increase the space as you level up but that will require both gold and gems. The best thing to do is to manage your storage space. 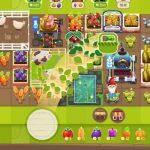 Plant different types of crops depending on your needs. Sell off all crops that are in excess of what you need for production. You will find that most of the time you will be struggling with farm storage compared to depot. That’s because most depot items take a long time to produce. Crops normally grow in just a couple of minutes. Make it a habit to check your stocked items and sell off what you don’t need in order to free up space in your storage. Even though you have limited space, you should not be discouraged from planting more crops. As we mentioned above, you just need to sell off everything that you don’t need. This is an easy way to make a lot of money. The primary reason for planting a lot, however, is to rush your levels. Since crops are the fastest to make, you will be able to level up more quickly if you keep planting. Levelling up gives you various rewards including currency and items that you need for removing obstacles. Aside from that, reach certain levels will give you access to more content. You will be able to construct new buildings, purchase new animals, and even add to the ones you already have. If you feel like farming a lot, just plant a lot of the same crop then sell it all off. Your truck can only sell one type of item at a time, so planting the same crop will make selling a lot easier. Aside from the crops that you plant, there are also several structures that produce different items. You have farm animals that produce raw materials whenever you feed them. You also have processing structures like the Dryer, Oven, and Dumplings maker. These require certain items before they can start production. Make sure you always keep your production queues busy because they take time before they can create items. For example, pigs take 30 minutes to produce pork. That means if you leave them idle, you will be missing out on potential earnings. Always check the different productions queues that you have to make sure none of them are idle. It helps if you arrange structures on your farm according to how long their queues take to make it easier for you to make your rounds. Gems are the Big Farm Life’s premium currency. There are several things you can use it on, but the most important one is to upgrade your storage structures. You can also spend gems to speed up production if items, although we don’t really recommend it. Use it for speeding up production only if you have a lot of gems to spare. Gems can also be spent on removing obstacles from the map, but again, it is best if you just use the ones you get for free. If you are short on gems, there is a way for you to earn them for free. At the top right of your screen is a gift icon. Tap on it in order to watch a video advertisement in exchange for a couple of gems. 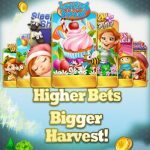 It usually just gives you one or two gems at a time, but if you watch enough ads, you will be able to accumulate a lot. Keep in mind that once you watch an ad, the offer will go on cooldown, and you won’t be able to get another for the next twenty minutes. Try to watch ads every time it is available in order to gain a lot of gems for free. The game can be pretty heavy handed with the ads. You get random pop-up ads while you are playing, and you even get one last ad as you log off from the game. It can get annoying, especially since it takes a while for the option to exit from the ad to appear. There is currently no way to purchase an ad-free version of the game, so you can’t buy your way out of it. There is a free option, though. You can simply disconnect your device from any internet connection. This will remove all ads from the game for as long as you stay offline. Unfortunately, it will also remove the option to watch ads for gems. What you can do is to go online only when the free gem offer is available, then then switch back to offline mode to escape the rest of the ads. Managing an entire farm on your own is never easy, but with the help of our Big Farm Life cheats, tips and strategies, you will be able to build the farm of your dreams!